From this definition, it’s easy to see why standards are an important consideration for building managers. Fire protection standards, in particular, exist to help ensure a building’s fire safety equipment and systems are kept in a functional state that allows them to operate at all times. Simply put, what is installed must work. Keeping up to date with the specifications and procedures set out in fire protection standards and legislation should be top of mind for anyone responsible for building safety. 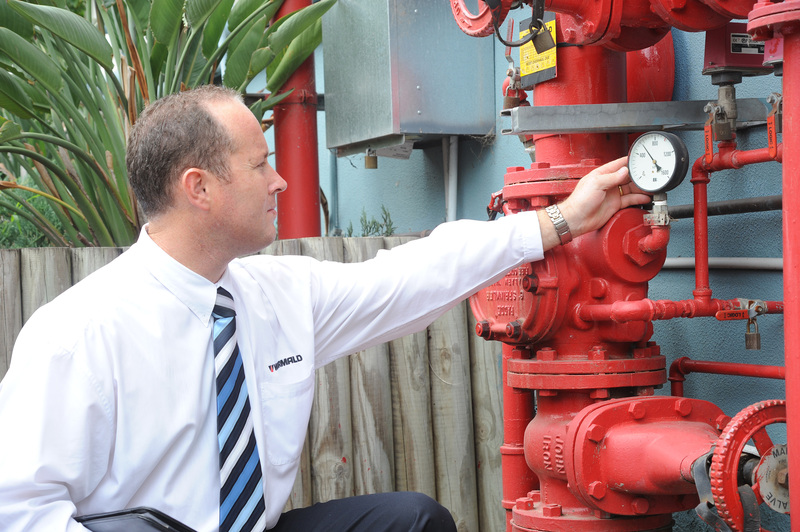 As many property managers may know, Australian Standard AS1851-2012 “Routine Service of Fire Protection Systems and Equipment” prescribes routine servicing activities for most fire protection systems and equipment to help ensure systems and equipment are kept in proper working order. This includes inspection, testing, preventative maintenance and survey activities. The Standard was completed rewritten and released in December 2012 to provide better clarity around what is expected from building managers and their service providers. However, there is still some confusion around its use and adoption has not been straightforward. AS1851-2012 is a routine preventative maintenance standard only. The Standard does not require fire protection systems to be upgraded. The focus is on demonstrating that the fire protection equipment and systems installed in the building at the time of approval are still ‘fit for purpose’. The frequency of fire protection equipment inspections has been reduced from weekly to monthly. Requirements relating to passive fire protection have also been substantially revised. The rewritten Standard introduces the requirement for ‘Baseline Data’ to be provided for any installed fire protection systems and equipment. This provides a benchmark performance level, so that subsequent periodic servicing activities results can be compared and determine whether the fire protection systems and equipment still operates to that intended level. develop the baseline data through diagnostic testing and expert assessment and advice. This can be costly, but it is likely to be offset in part by advantages of AS1851-2012, such as reduced maintenance frequencies and refined techniques to prevent future failures. If you’re responsible for building safety, be aware that if defects or failures are reported by maintenance contractors, the property owner or occupier is responsible for rectification to meet the regulatory requirements and maintain system performance. All primary regulations for maintenance of buildings around Australia place the responsibility of maintaining fire equipment and systems on the owner or occupier. The FPAA has also developed a Good Practice Guide on the adoption and use of AS1851. This entry was posted in Fire protection planning, Maintenance & servicing, Services and tagged Australian Standard AS1851, facility management by wormaldblog. Bookmark the permalink.